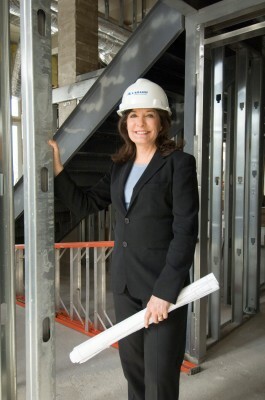 Linda Alvarado, who describes herself as a “skinny little girl from New Mexico,” has worked her way to the top of the competitive and testosterone-driven construction industry. Today, Alvarado Construction, Inc. is one of the fastest-growing commercial general contractors in the country, with many Fortune 500 projects under its tool belt. Alvarado’s mother motivated her to study. “In art class, I wasn’t drawing flowers or painting sunsets,” she recalls. “I was drawing buildings, bridges, and skyscrapers.” Meanwhile, Alvarado’s father indirectly played a part in steering her toward a career in construction. “I helped my dad hand mix and pour concrete for our backyard porch and storage shed,” she says. Start small, but think big. All big businesses were once small businesses. Take risks. You’ll never get to second base if you keep your foot safely on first. I’d rather be short on cash than short of character. Today, Alvarado Construction, Inc. is one of the fastest-growing commercial general contractors in the United States. Having completed industrial, transportation, and technology projects for Fortune 500 companies, one particular job that stands out in Alvarado’s memory was accomplished in 2008. Alvarado Construction was the lead construction manager in charge of remodeling and restoration of Denver’s Pepsi Center for the Democratic National Convention. With six weeks to convert the sports arena, Alvarado’s team removed 5,000 seats; opened the ceiling; added lighting and structural work; built an additional 164,000 square feet of office space with HVAC, security, electrical, and data/phone lines; and transformed suites into broadcast booths for international print, radio, and television media. “Who would have ever thought that this skinny little girl from New Mexico could one day accomplish a high-profile project of this magnitude?” Alvarado says. In addition to Alvarado’s remarkable success in the construction and development industries, she is active in several nonprofit and community foundations. Moreover, she’s one of the original owners of the MLB Colorado Rockies. “Baseball’s positive influence over the Latino community is one of the reasons I was attracted to it,” explains Alvarado. Bringing major league baseball to Denver in the early 1990s was a huge accomplishment for Alvarado and Hispanic athletes. In fact, Alvarado was the first Hispanic—man or woman—to ever own a Major League Baseball team, and she was also the first female entrepreneur to bring her own capital to a major league franchise.